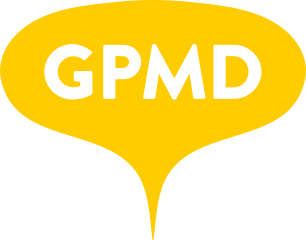 Image Specification Guide – GPMD Ltd. It is important that images are optimised as much as possible (especially given the often slower, higher latency network speeds on mobile devices) - there is a direct correlation between poor site speed due to large quantities of badly optimised images and poor conversion rates. Proper optimisation can bring a 2MB image under 200KB in many cases. Please refer to our Image Optimisation article for more information. Image dimensions are not enforced, but for full-width images we recommend the longest side be ~1920px @ 72dpi, and no more than ~2560px. It's often useful to set the height proportional to the width based on a ratio (see below), but this is not essential or enforced as it will depend on the context. Our sites automatically generate optimised, scaled down images appropriate to the device and context in which they are being viewed. Site editors need simply to upload one ‘master’ copy of each image. In general, unscaled master images will only be used for the zoom image on product detail pages, or full-width banners. PLEASE NOTE: A poorly optimised master image will lead to poorly optimised scaled down images. Please refer to our Image Optimisation article for the correct way to optimise images. When preparing images you should crop them to the most appropriate ratio for the context in which they will be shown (any ratios mentioned below are recommendations rather than strict values). Consistency is important - choose a ratio and stick to it. Your product images may work best centred within a square frame, so a ratio of 1:1 would be appropriate. If, however, your products are more landscape in shape (shoes or sunglasses for example) a ratio of 4:3 or 2:1, or even 3:1 might be better. A full-width banner is likely to be landscape in format, so a ratio of 3:1 or 2:1 might be a good starting point. Smaller banners/callouts might work best with a square (1:1), or portrait (1:2) image ratio. The most important thing is to consider the context, and then crop your images appropriately. Please ask if you would like help deciding on the specific dimensions and ratios for your project.